Somelier Rules | Marbella Marbella – Adelante! There was no change of facial expression but the wine waiter’s voice went up an octave. “Sir, in my opinion this wine is in perfect condition”. No sooner were the words out of his mouth than he realised his mistake. The customer is always right. It all started when the man, one wrist loaded with gold and supporting a spectacular blonde, asked for the wine list in a well-known Marbella restaurant, where your humble scribe happened to be a chance onlooker. The somelier, a young man with a good career ahead of him whom I have known for many years, brought the bottle, showed it to the customer, and poured a small amount into his glass. The reaction was unexpected. “No, it’s no good”. The wine waiter silently took away the bottle and glass and returned a little later with another bottle of the same wine, a highly-rated Rioja from an excellent bodega. The farce continued. Another taste, another grimace, which is when the wine waiter, who this time had taken the precaution of discreetly tasting the wine before bringing it to the table, was unable to hide his feelings, and he reminded the customer that not only was it the wine he had ordered, but neither was there was anything wrong with it. There is no happy ending. The customer, for reasons we shall never know, insisted that the wine was not up to the mark and insinuated it had not been cellared properly. The restaurant was left with two open bottles of wine that it could not sell or return to the supplier because it was in no way defective. When you order a wine by name in a restaurant it is usually because you are familiar with the label or with the bodega and know it to be reliable. Only in the event that there is something wrong with it would you send it back. 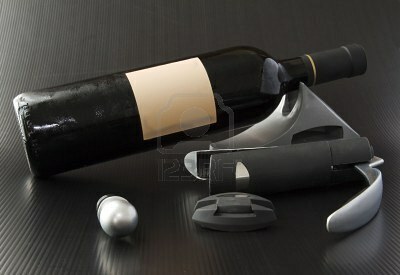 It is never correct to reject a wine because you do not like it. 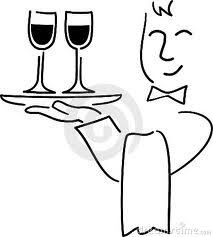 The wine waiter does not pour a small amount into your glass for you to taste for any other reason than to establish whether it is in a good condition. If you order a wine you don’t know and when it arrives at the table you don’t like it, no-one is to blame but you and you must pay for the consequences. Amazingly, there are still people who go to restaurants and try out wines they don’t know on the basis that if they reject a bottle as being ‘off’, the restaurant will foot the bill. You may get away with that sort of thing once or twice, but after that you will soon be rumbled and definitely not welcome in the future. The correct option is leave it all to the wine waiter, who is a hundred times more knowledgeable about wine than you or I will ever be. 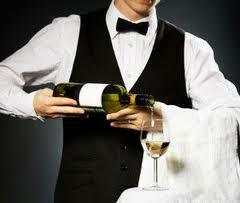 He will never let a customer drink a bad wine or a wine that does not match the food he has ordered. And the big plus is that this way you will get to try new wines that you may never have thought of ordering otherwise.